The WHITBY 42 was available as sloop, ketch, or staysail ketch with bowsprit. It was first built by Whitby Boat Works of Ontario, Canada and later under license by Ft. Meyers Yacht and Shipbuilding. 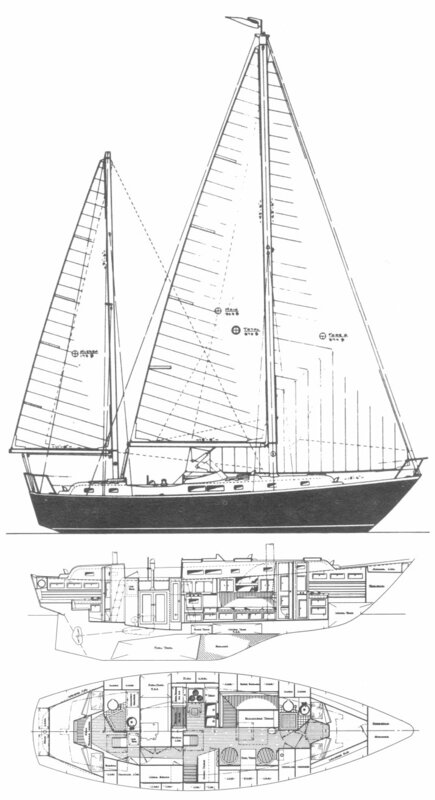 A later variation built in Fort Myers, was the BREWER 12.8, or BREWER 42 which featured a updated keel and rudder configuration and usually a cutter rig. Later still was an extended and further modified version called the BREWER 44.